Power management company Eaton announced a series of updates to the company's X20 portfolio of open circuit piston pumps, including electronic displacement control across all X20 displacements, an updated pressure/flow control, and a new torque control for the 620 Series pumps. “At Eaton, we are continually innovating to meet our customers' needs, and the latest updates to the X20 portfolio will help machine designers improve equipment accuracy and safety,” said Sonya Anderson, product manager, Mobile Open Circuit Piston Pumps, Eaton. The electronic displacement control (EDC) varies displacement in proportion to the current signal sent to the EDC solenoid, providing greater flexibility in machine design, enhanced safety and improved productivity by providing direct control over the displacement of the pump. This allows multiple functions with different system requirements to operate in their most efficient state, while delivering the most efficient use of the power available. Additional benefits of the X20 pump control include the ability to replace load sense with EDC and achieve low system losses by commanding pump flow to match the load requirements as determined by the vehicle electronic control unit (ECU). The X20 portfolio EDC is available on all displacements from 28 cubic centimeters (cc) to 98cc with two different configurations, default to full displacement or default to zero displacement upon loss of electronic signal. The new torque control feature, available on the 74cc and 98cc displacements, limits the torque required by the pump based on the setting, similar to Eaton's industry-leading PVH Series design. 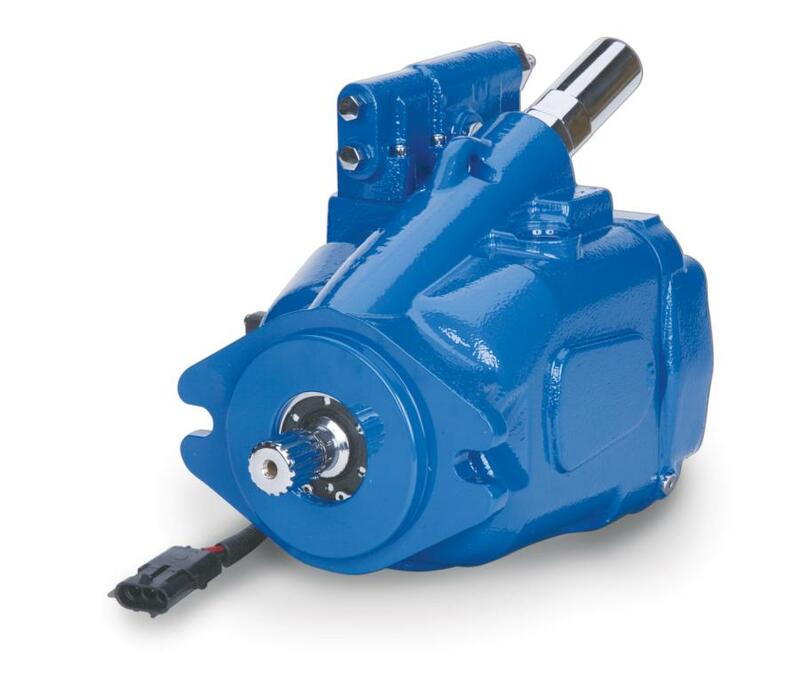 By limiting the peak input torque demand across the range or pressures, speeds, and temperatures, the pump prevents engine stalling while maximizing the use of the engine power, thus reducing fuel consumption in applications such as telehandlers, excavators and forestry equipment. The externally adjustable torque setting simplifies adjustment as compared with other products that require disassembling the pump to change settings. The torque control feature can be configured with all other X20 controls except EDC and is available with an optional minimum displacement limiter, which will override the controls to ensure a minimal flow. Additionally, all pumps in the product line are now available with auxiliary mount capabilities, giving customers the option for tandem pump configurations. For more information, visit www.eaton.com/X20.